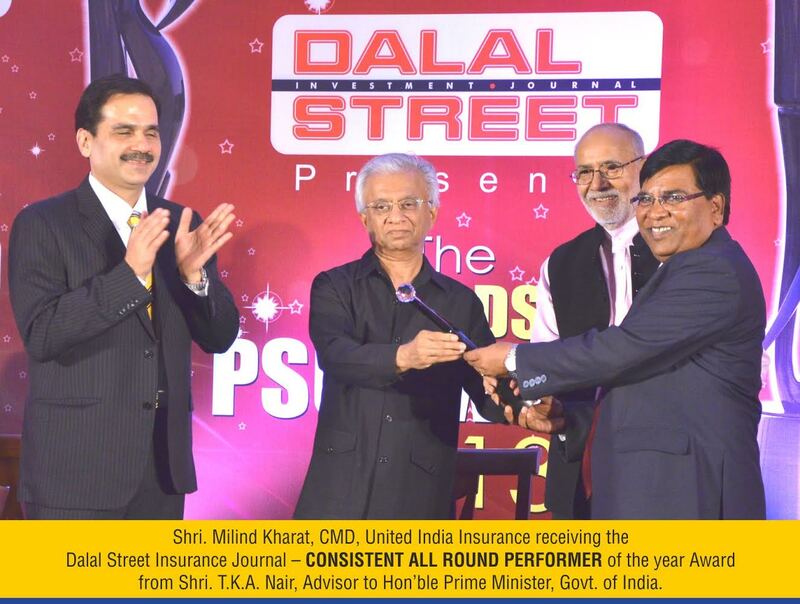 Our United India Insurance Company won many awards in the recent past, for our outstanding achievements. Our great leader / CMD says that these are the efforts of every United Indian of our company. Let us salute him , but for his impeccable leadership, this would have not been possible. 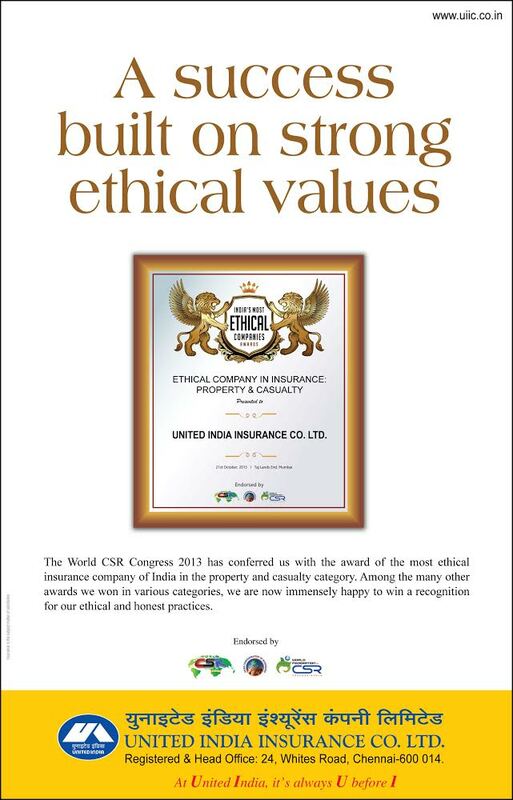 The World CSR Congress 2013 has conferred us with the award of the most ethical insurance company of India in the property and casualty category. bags the Indian Insurance Awards 2014 for the 3rd time in a row. a) E-Business Leader Award, 2014: This award for the company is for deploying the online insurance channel effectively for marketing, lead generation and business sales. This the second time the company receives this award. b) Bancassurance Leader Award: Awarded in recognition of the company for its overall performance in Bancassurance segment, where it has grown by over 25% in 2013-14.
c) Best Non-Urban Coverage Award: The Award for Best Non-Urban Coverage (Public Sector) in General Insurance has been awarded to the company in recognition of its focus on and exceeding its commitments to the non-urban Indian market by pushing the frontiers and creating new markets. CONSISTENT ALL ROUND PERFORMER of the year award.